The world of Cybersecurity is ever changing and mission critical for organizations. Lieberman Software’s Enterprise Random Password ManagerTM (ERPM) is a Proactive Cyber Defense Platform that protects organizations against malicious insiders, advanced persistent threats (APTs), and other sophisticated cyber attacks – on-premises, in the cloud, and in hybrid environments. Several times a month, groups of up to 25 trainees participate in Lieberman Software’s three-day, eight-hour training sessions. These sessions are held at Lieberman Software’s Headquarters, or conducted virtually around the globe. 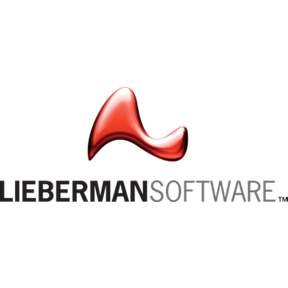 Lieberman Software needed a cost-effective, time-efficient software-training platform for new and existing customers, as well as associates and partners. Having a stable, reliable training environment is important for Lieberman Software’s trainers and their trainees. When a training environment goes down during a session, participants face costly downtime and delays in their training. Prior to working with Trial.iO, Lieberman Software set up their training environment in-house using their own servers, as well as private cloud servers. Each training session took a team of two technical associates about 48 hours to set up. However, these sessions didn’t provide the stable, reliable training environment that Lieberman Software required. Training environments would often crash while in session, resulting in costly downtime and delays in training. Lieberman Software’s senior management began searching for a more efficient and reliable cloud-based solution, but found the current options to be cost-prohibitive. 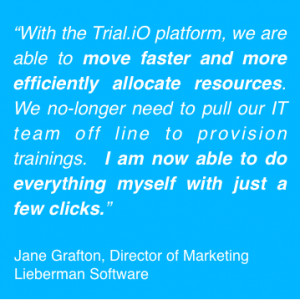 Lieberman Software worked closely with the Trial.iO team to create a more reliable and cost-effective training environment. The Trial.iO application powered by Microsoft Azure stores Lieberman Software’s complex training environment across 15 virtual machines on both Windows and Linux environments. With Trial.iO, training environments can be provisioned without any involvement fro m the Lieberman Software technical team. Today Lieberman Software’s digital marketing associate spends about 30 minutes setting up each training. 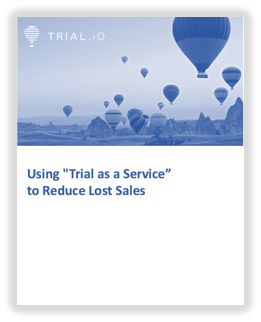 With the training environment always ready on the Trial.iO application, Lieberman Software only needs to upload an attendee list and the invites are delivered instantly. Through the link in the invite, trainees are able to access an environment that is consistent across the entire class, regardless of platform or location. Fast and Easy Set-up. Today, Lieberman Software’s Digital Marketing Associate spends just 30 minutes setting up the training environment and inviting trainees. Minimal set-up time and easily implemented updates allow the Lieberman Software IT staff to focus on other tasks. Consistent, Reliable Experience. Lieberman Software trainees receive training that’s consistent with the original in-house environment. In addition, improved reliability means vastly improved up-time during training. Efficient, reliable training enhances Lieberman Software’s customer experience and brand. Smart Management of Cloud Usage Costs. Lieberman Software’s ability to meter cloud usage has significantly reduced the cost of offering trainings on Azure.